Delivered my 5th advanced speech project in the Interpretive Reading manual. 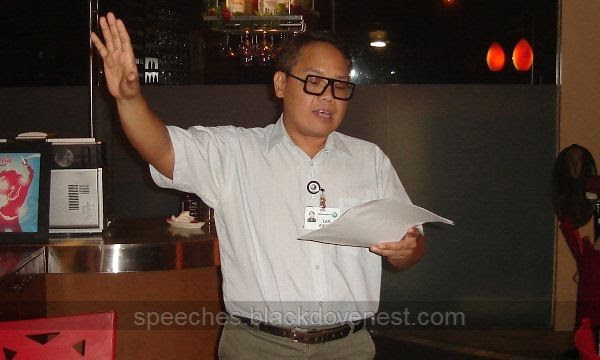 The title of the speech is "Ninoy's Undelivered Speech" and was evaluated by Dr. Larry Gamboa. 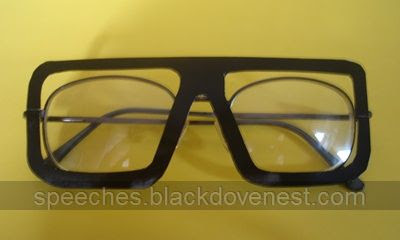 To impersonate Ninoy Aquino, I made the iconic big-rimmed eyeglasses out of cardboard and fastened them to my own. Here is the fake cardboard eyeglasses when attached to my regular eyeglasses. Too bad, we don't have a lectern. I don't think Ninoy would've delivered a speech while holding loose sheets of paper.